MSI is one of the latest manufacturers to launch a new range of gaming laptops with two new gaming models with upgraded graphics. 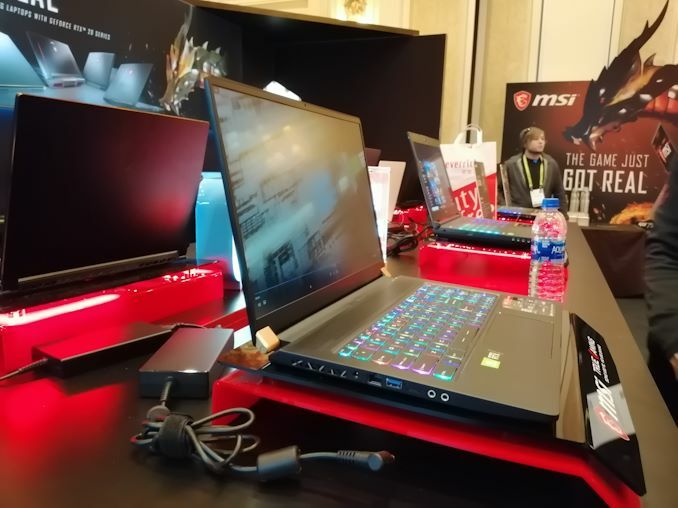 Hitting the market is the slimline but powerful MSI GS75 Stealth, and the MSI GE75 Raider which is one of the first 17" notebooks to harness the power of an RTX 2080. 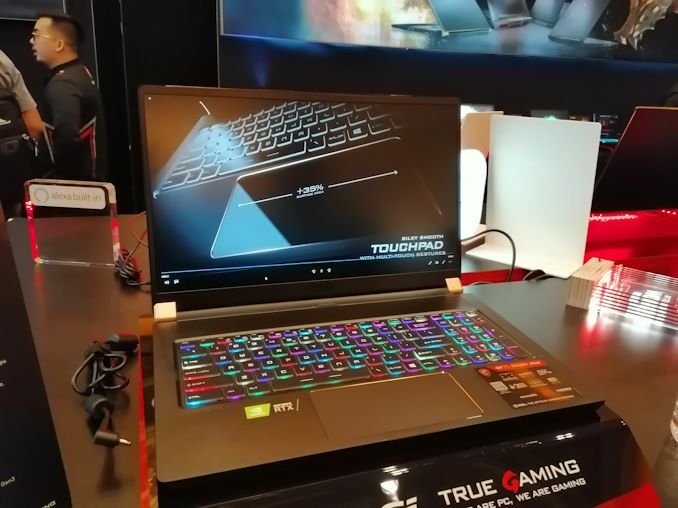 The newly revamped version of the MSI GS75 Stealth comes installed a new NVIDIA GeForce RTX 2080 graphics card and an Intel 8th generation Core i7 processor. Not only that but the aluminium frame houses an impressive 17.3" 1080p 144 Hz IPS screen suitable for gamers, an RGB keyboard that is customizable with the SteelSeries Engine software and a glass touchpad. Under the hood, the MSI GS75 Stealth also has room for up to three M.2 drives with two of them having SATA and NVMe PCIe 3.0 support, while the third just supports SATA drives. On the networking front, MSI uses Killer NIC and an 802.11ac Wi-Fi adapter which also includes Bluetooth 5 connectivity. One of the standout features of the GS75 Stealth is in its size; it packs a powerful component selection into an ultra-thin 18.95 mm thick frame and weights 2.25 kg with the battery installed. Not exactly light, but more svelte than most other gaming-focused notebooks on the market with similar specifications. According to the newly updated GS75 Stealth product page, a model with an RTX 2070 and the new RTX 2060 are also available; this is likely to be dependant on region. Slightly heavier and just under half a kilogram heavier is the new MSI GE75 Raider. The GE75 Raider is another of MSI's notebook range overhaul to be paired up with an NVIDIA GeForce RTX graphics card. 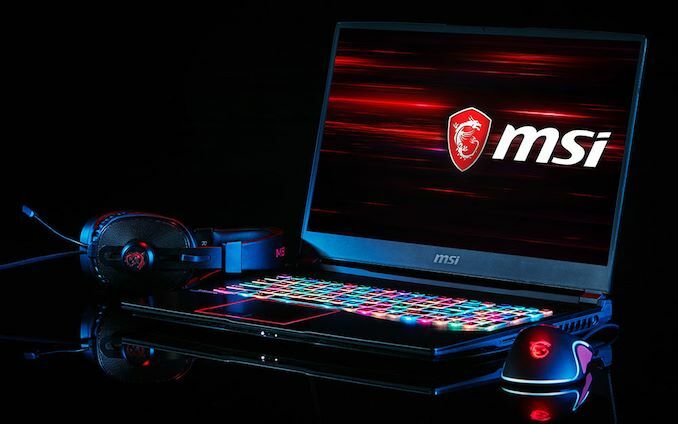 In fact, MSI is stating that this is the first 17" laptop to use the new Ray Tracing enabled RTX 2080 model. On top of that, the GE75 Raider features a SteelSeries per-key RGB customizable keyboard, speakers powered by Dynaudio and incorporate a unique '3D Dragon Spine' design with a red anodized finish. There's no information about availability or pricing on the MSI GE75 Raider currently, but we expect MSI to start revealing more soon. "Slightly heavier and just under half a kilogram heavier "
Article doesn't mention it comes optionally with the i9 8950HK CPU like the new Gigabyte Aero refresh. I'm sure it can't keep all the cores boosted at full load because even with the regular 8750H it throttled in reviews and the cooling solutions seems identical. But it'll have real nice 1-2 core Turbos North of 4.5GHZ that's good. 2080 max-Q + i9 that will be a thermal challenge in these thin laptops. Hoping to see a 4-fan solution in this laptop this time around.